But, but, but…is there anything anyone could say that would make Islam, already the most violent, racist, misogynistic and bigoted ideology, appear worse than it already is? 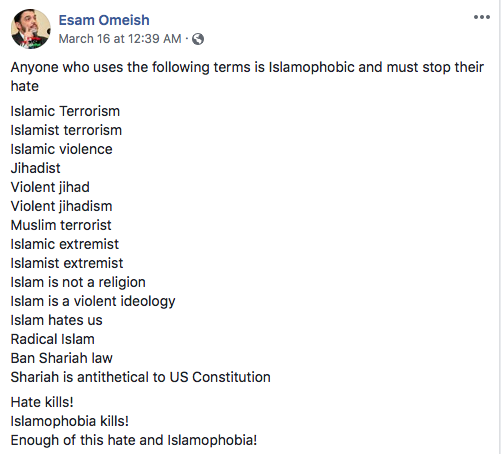 IPT “Anyone who uses the following terms is Islamophobic and must stop their hate,” Omeish said. Anyone who uses terms including “jihadist,” “violent jihad,” “Islamist terrorism” or “Islamic extremist” is a hater who deserves to be shunned, an influential Muslim political leader argues. 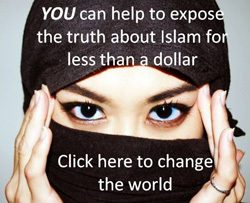 Omeish is a board member at the 9/11-linked Dar al-Hijrah Islamic Center in Falls Church, Va., which has exhibited Muslim Brotherhood sympathies. He previously served as president of the Muslim American Society (MAS), which prosecutors say was established as the “overt arm” of the Muslim Brotherhood in America. Other statements Omeish now sees as inherently hateful include “Islam hates us,” “Islam is not a religion,” and ban “Shariah law.” “Islamophobia kills!”, he wrote. “Enough of this hate and Islamophobia! A NZ based writer using the webname “beforeus. com or .us” claims the Vatican created “islam” ideology to destroy competing religions and pretend their hands are not blood stained. He would seem to be partially correct. Eradicate islam! Stop falling for that crap. Yusuf al Qaradawi, spiritual advisor to the Muslim Brotherhood. I went on to Religion of Peace. com, and it was way too passive and aggrandizing to Muslims for my liking, it made me feel like and stated that I was wrong for having animus towards all Muslims. tina, what specifically are you referring to? TROP is like Drudge in that it only posts headlines of stories. They can call me whatever they wish but it doesnt take away the simple fact that islam is a fascist religious cult and the notion that they dont want anybody to even suggest that shows me that they are indeed a fascist religious cult. All religions are cults, its all about power and control, try humanism! Of course they want us to stop saying “Ban Shariah law”. As far as other terms on the list, we would be banning Mohammeds own terms that are in the quran. Does that mean we get to ban the holy hate book? Unfortunately, no. Well in lite of the subject matter that we can’t say all those word, then I guess that it will be okay to burn shred, tear and defecate on a Quran since that book contains all those hate words too. The left seems to attribute any act by an individual not of the pernicious cult of the pedophilic mass murdering monster to be a far right NAZI which is an oxymoron in itself. Hitler’s NAZIs were socialist as all manufacturing and production was totally controlled by the state. Dissent was not permitted. Even when a far leftist like the shooter in Christchurch commits a heinous crime, the person is labeled far right extremist. If I had a child who joined an organization like the KKK, I would disavow all contact but even the KKK and others like them have never come close to the level of violence as has the cult. What is far right? Let the left tell it(anybody that don’t agree with their agenda.) I don’t believe they even believe in their agenda. They’re just evil and they use selective defining to push their evil ways. Who gave them the magic wand to be the group that’s always RIGHT🤭!!!! If anything the left, liberals, sjws, demoRats are the extremist and should be the group that’s demonized as a hate group. The left try and use bullying, intimidation and violence to push their agenda. They’re some hate on the right, but they’re center, far right, extremist right. Just like on the left. Again let the left tell it anybody on the right is wrong. Don’t these SWJ’S know that they’ve been conned by the left agenda and the KKK was started by the demoRats. Because islam’s “image” was just hunky f*cking dory until a word was spoken, huh? So the word ragheads is OK? is there any freedom of speech in islam? One correction, Islam doesn’t seem at all racist to me (though I’m sure there are some racist individual Muslims). Generally, anyone of any race is welcomed as long as they submit completely. Regardless, this is the same game the leftists play with PC. Cry “hate speech” in an attempt to control which ideas can and cannot be expressed to avoid debate. You start with obvious slurs to give the censorship a veneer of legitimacy, then move on to expand the ban list to core concepts from the opposition’s philosophy. “Sharia is incompatible with the US Constitution,” especially, is a simple, objective fact*. They can take offense at that or not, but it doesn’t change reality. *Unless, 1) one adopts the 9th circuit/Ginsberg et al. view that the Constitution means whatever they want it to mean, in which case it means nothing and the question is meaningless; or 2) one considers a more secular version of Islam which supports separation of church and state, but that doesn’t seem to enjoy majority support among Muslims at this time according to polls. Islam is racist even tho any race is expected to submit. Slavery is institutionalized, peoples such as Jews are slaughtered & hated, Mohammed called blacks “raisin heads”, etc. I had to LOL big time when I read “Dar al-Hijrah Islamic Center” because I know what Hijrah is. 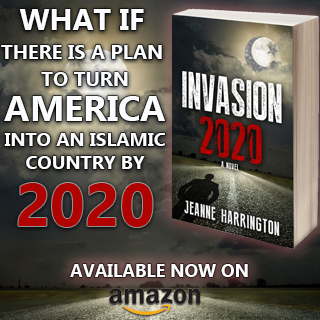 In case some reading this does not, HIJRAH is stealth JIHAD by mass migration, which is exactly what we saw when millions of young, military aged men walked, swam, boated, drove and whatever into Europe. I can go on about what theat means, but Hijrah is exactly that. HERE’S WHAT i’VE GOT TO SAY TO YOU,pack your Pillsbury hat and your prayer rag and get the hell out of the United States. The Muslim brotherhood is CAIR…. I hope you will soon be designated a terrorist organization as is being proposed currently. You backword third century troglodytes . You don’t even know how to use toilet paper you deserve nothing. Being proposed by who? The way our governments are trying to push this so-called islamaphobia, I can’t see who would be proposing that(which is welcomed, about time and I think during the Bush administration, cair members were being arrested, having their funds seized and being investigated as a hate and funding terrorism.) I almost forgot Obama got elected, that’s probably when the investigations stopped and cair was being victimized🤔. The battle has reached America’s shores and is now out in the open, Islam wants to silence the American people as a first step to Islamic control which is to make speaking the truth about Islam a crime and that people cannot happen. Defend our nation and the Constitution, in order to do so we must acknowledge that Islam is a threat and take means to remove it from America. Free Speech has been a core value in our nation do not let Islam silence our voice using the first amendment to do so. Remember Islam is not a race nor is it a religion, Islam is a legal/judicial theocracy that applies only to Muslims, get that in your head for a nation cannot survive with 2 legal systems working against each other: The Constitution is the law of the land lets work to keep it that way. Why do you think CAIR ( and other Islamic organizations) were supporting moslems being elected to Congress and the House of Representatives? Is so that these moslems will be in a position to “futher the cause of Allah” and be able to futher the push to Islamify America. If you have studied the Koran and Reliance of the Traveler ( the sharia manual) a practicing Moslem, who says they are a Moslem , can not support any other legal or political system but Islam and Sharia. 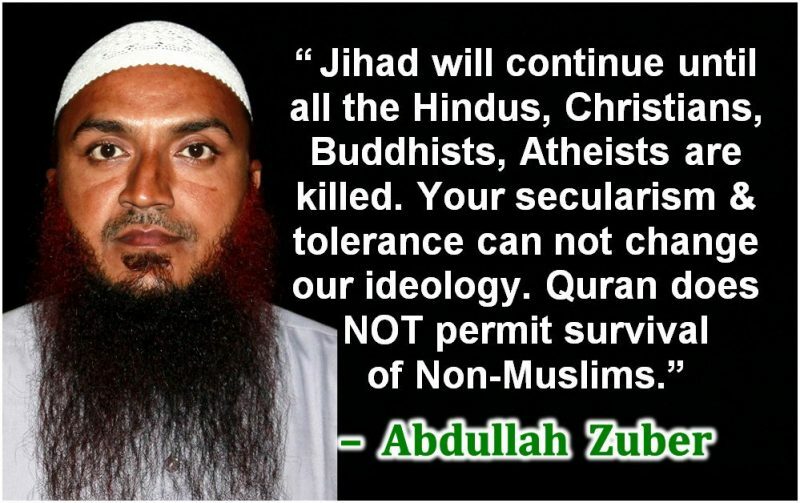 A Moslem who says they believe in and supports Democracy and the Constitution is either NOT a Moslem ( this is according to the Koran) or they are trying to pull a massive taqyyia on the kaffir. Which do you think the cutter moslems in Washington are doing? This is part of the Stealth Jihad , or Civilization Jihad as outlined in the Muskim Brotherhood memo that was found during the Holyland foundation terrorism trial. Islam has to spread and they have to have a ummah in the non Moslem country. This ummah can start small but it will increase through both immigration and birthdate. As this Moslem population increases, the moslems will get moslems elected , hired and appointed to positions of influence, power and authority. This is somthere will be fellow moslems in place in our legal and governing systems that can push to give moslems and Islam special status, and to push to futher the Islamification of the country. Part of this process involves situations where the tenants of Islam, of sharia law will be judged superior to those of the native country. This will use the freedom of religion first amendment . This has happened where moslems sued to get prayer times, prayer rooms and to be able to wear the hijab on the job….as well as the cases where moslems were hired knowing they would have to handle pork and alcohol, then after being hired, they refused to handles those things, so they were fired. The Moslem then sued and WON , based on their religious freedoms were infringed on….. The laws of Islam are being judged to be more important than the law of the land and of the laws of Christianity. 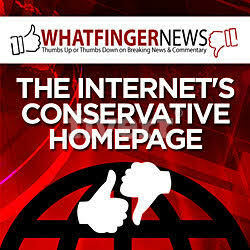 There are a,os sharia courts set up and operating in America , in defiance of the constitution. The moslems claim that it’s only family law and all participation is voluntary but it’s the women that are suffering and being forced into going to these courts, notvthe legal US courts. There is a push to get crimes against Islam and moslems all declared to be Hate Crimes . A hate crime carries a stiffer sentence than a non hate crime. This would basically mean that moslems and Islam have a special legal status . It’s similar to the Dhimmi contract. Google “ Enjoy the Conditions of Omar” for a blog all about dhimmi , the laws dealing wirh dhimmi , and how dhimmi are treated. All over America, there is a push by both moslems and their liberal allies to abolish all Christian based traditions, and holidays , even some non Christian ones like Halloween, and to replace them with made up events that don’t offend the moslems religions feelings…. In addition there is a push to make the Islamic holidays ,Legal holidays so we are all forced to observe them to some degree. Everywhere in America there are efforts by moslems to gradually force us non moslems to obey and follow different aspects of sharia and Islamic religious rules. No doubt our airheaded, muzzie-pandering PM will slap this ban on us, in her nauseatingly sugar-coated drone, just as she has stripped innocent citizens of their guns, and signed the compact that threatens us with an influx of unwelcome invaders. 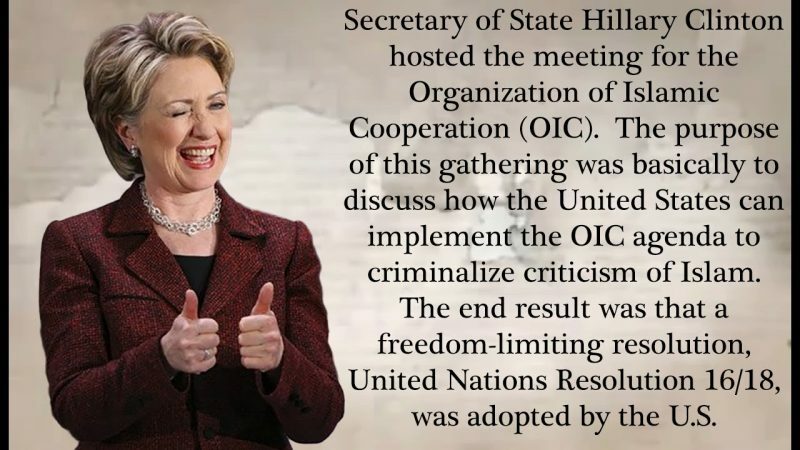 We have the opportunity to vote her out in 2020. Actually, we never voted her in in the first place; she was foisted upon us. “She was foisted upon us” Yes, by a stupid Maori turncoat. simple way to avoid Esams list it is all covered by KORAN or QURAN .no hate speech or mention of Jihad terrorism killing anywhere .I thought his list was the index to the chapters and verse.